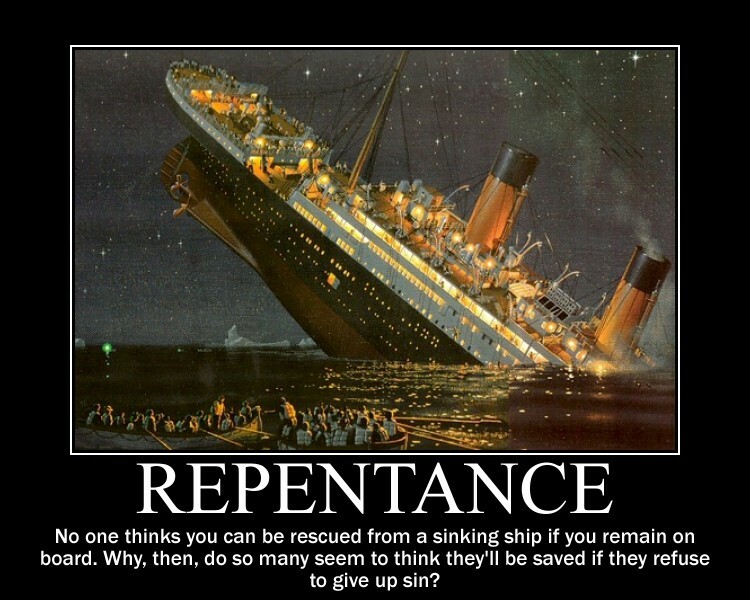 Does shedding tears mean repentance? Both Ruth and Orpah shed tears. Only one repented. Dr. McGee explains this from one of broadcasts in Ruth. To hear his short 8 min. 23 sec. study on Ruth 1.14-18, click here. Ge. 4:6-7: And the LORD said unto Cain, Why art thou wroth? and why is thy countenance fallen? If thou doest well, shalt thou not be accepted? and if thou doest not well, sin lieth at the door. And unto thee shall be his desire, and thou shalt rule over him. Lev. 11-14 A Holy God must have a cleansed people. Lev. 13 A holy God – a holy people: Leprosy – type of sin as in Rom. 6.12-14; 1 Jn. 1.8. 2 Chr. 33.11-13 “Wherefore the LORD brought upon them the captains of the host of the king of Assyria, which took Manasseh among the thorns, and bound him with fetters, and carried him to Babylon. And when he was in affliction, he besought the LORD his God, and humbled himself greatly before the God of his fathers, And prayed unto him: and he was intreated of him, and heard his supplication, and brought him again to Jerusalem into his kingdom. Then Manasseh knew that the LORD he was God.” Manesseh had been the worst King Judah had ever had. See, 2 Chr. 33.1-10 and 2 K. 21.2-9. Yet in 2 Chr. 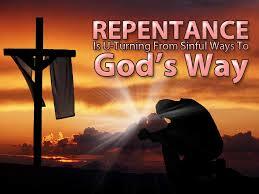 33.11-13 we find that he repented after he was taken into captivity in Babylon. Then, God restored him to Jerusalem as king after which Manesseh served God. There are 7 Penitential Psalms (Psalms of repentance): 6, 32, 38, 51, 102, 130, and 143. Ps. 6 is a Ps. 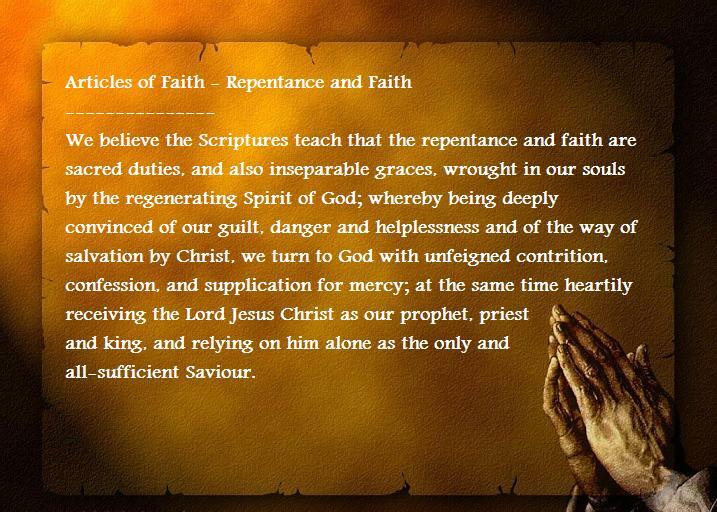 of repentance. “”To the chief Musician on Neginoth upon Sheminith, A Psalm of David. 1 O LORD, rebuke me not in thine anger, neither chasten me in thy hot displeasure. 2 Have mercy upon me, O LORD; for I am weak: O LORD, heal me; for my bones are vexed. 3 My soul is also sore vexed: but thou, O LORD, how long? 4 Return, O LORD, deliver my soul: oh save me for thy mercies’ sake. 5 For in death there is no remembrance of thee: in the grave who shall give thee thanks? 6 I am weary with my groaning; all the night make I my bed to swim; I water my couch with my tears. 7 Mine eye is consumed because of grief; it waxeth old because of all mine enemies. 8 Depart from me, all ye workers of iniquity; for the LORD hath heard the voice of my weeping. 9 The LORD hath heard my supplication; the LORD will receive my prayer. 10 Let all mine enemies be ashamed and sore vexed: let them return and be ashamed suddenly. Ps. 15. “In this Ps., David is saying exactly what James said: ‘Yea, a man may say, Thou has faith, and I have works: shew me thy faith without thy works, and I will shew thee my faith by my works’ (James 2.18). I like the was someone put it: ‘Faith alone saves, but faith that saves is not alone.’ Who is going to stand before God? Those who have had a faith in God that has produced a life of righteousness. There are many who talk about the soon coming of Christ, and yet I don’t see much change in the lives who say they are expecting Him. My friend, if you really believe Jesus is coming soon – or even if you believe you will someday stand before Him to give an account, you will make sure that you live your life in such a way that it will count for God. This is the real test that will prove whether or not you love Him and look for Jesus’ return.” (McGee, Ps. 15). Joel 2.12-29 (God calls on the Jews to repent before the battle of Armageddon and His response to such); N2 p972; N2 p 1174 (meaning of repentance); Great chapter on repentance: Eze. 18 (among other things, the son not responsible for the sins of the father, etc.). Joel 2.12-17: Repentance of the Jews who are in the land in the day of the Lord. The fifth vision of Zechariah (Zec. 3.1-7) discloses: (1) The change from self-righteousness to the righteousness of God, of which Paul’s experience ( 3:1-9) is the illustration, as it is also the foreshadowing of the conversion of Israel. (2) In type, the preparation of Israel for receiving Jehovah’s “BRANCH.” The refusal of the Jews to abandon self-righteousness for the righteousness of God blinded them to the presence of the BRANCH in their midst at His first advent Ro. 10:1-4; 11:7-8 Cf. Zec. 6:12-15 which speaks of the manifestation of the BRANCH in glory (v. 13) as the Priest-King, when Israel will receive Him. 7: “11 But they refused to hearken, and pulled away the shoulder, and stopped their ears, that they should not hear. 12 Yea, they made their hearts as an adamant stone, lest they should hear the law, and the words which the LORD of hosts hath sent in his spirit by the former prophets: therefore came a great wrath from the LORD of hosts. 13 Therefore it is come to pass, as he cried, and they would not hear; so they cried, and I would not hear, saith the LORD of hosts: But I scattered them with a whirlwind among all the nations whom they knew not. Thus the land was desolate after them, that no man passed through nor returned: for they laid the pleasant land desolate. 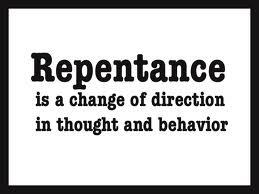 Summary: In the O.T., repentance is the English word used to translate the Heb. nacham, to be “eased” or “comforted.” It is used of both God and man. Notwithstanding the literal meaning of nacham, it is evident, from a study of all the passages, that the sacred writers use it in the sense of metanoia in the N.T.–a change of mind. Mt 3:2 Cmt. on Ac 17:30. As in the N.T., such change of mind is accompanied by contrition and self-judgment. When applied to God the word is used phenomenally according to O.T. custom. God seems to change His mind. The phenomena are such as, in the case of man, would indicate a change of mind.). Mt. 4.20 “From that time Jesus began to preach, and to say, Repent: for the kingdom of heaven is at hand.” (This was after Christ was tempted by Satan, Came to Capernaum, and at the beginning of his public ministry). Lk. 19.11-27 Parable of the ten pounds. Ac. 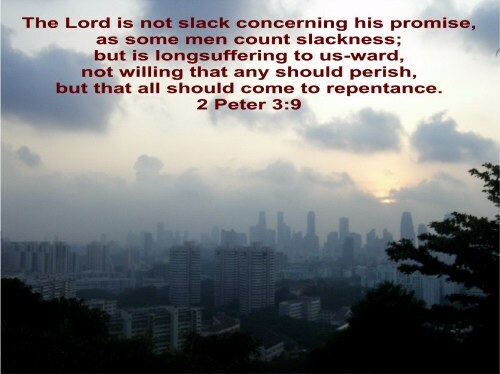 3:19-20 Peter, in his second sermon, preached “Repent ye therefore, and be converted, that your sins may be blotted out, when the times of refreshing shall come from the presence of the Lord; And he shall send Jesus Christ, which before was preached unto you:” Ac. 4:4 Howbeit many of them which heard the word believed; and the number of the men was about five thousand. Ac. 9 records the conversion of Saul (Paul) and the immediate change it made in his thoughts and actions. That change continued throughout his life as recorded in the rest of the book of Acts. 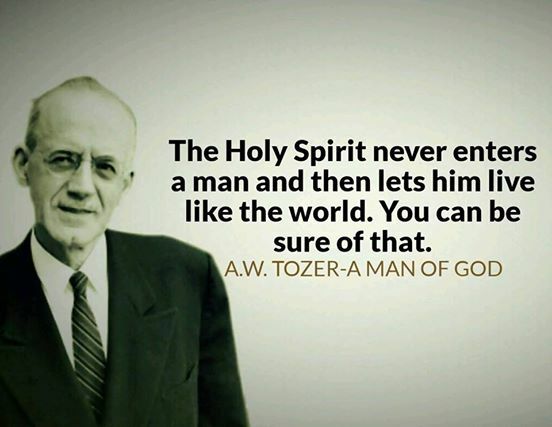 I just noticed the following in the perfect verses for (1) heretics who argue that water baptism is necessary for salvation, (2) heretics who argue that repentance is not necessary for salvation, (3) heretics who argue that one must work or have hands laid on them to receive the Holy Ghost, and (4) heretics who argue that salvation brings no change in one’s life. Ro. 1.18 – 3.20 teaches that the whole world (everyone) is guilty before God. Ro. 3.21-5.11 teaches the remedy for forgiveness for our guilt. Ro. 5.12-8.13 teaches crucifision with Christ, the resurrection life of Christ, and the walk in the Spirit, the Gospel provision for inherent sin. Ro. 2:4 “Or despisest thou the riches of his goodness and forbearance and longsuffering; not knowing that the goodness of God leadeth thee to repentance?” All of Ro. 2. All of Ro. 3. Would God wish to save someone to continue in sin? Of course not. All of Ro. 6, 7, and 8. Sample verses: Ro. 6:1-4 What shall we say then? Shall we continue in sin, that grace may abound? God forbid. 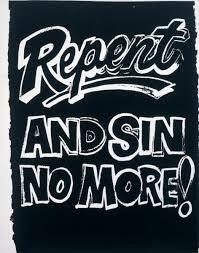 How shall we, that are dead to sin, live any longer therein? 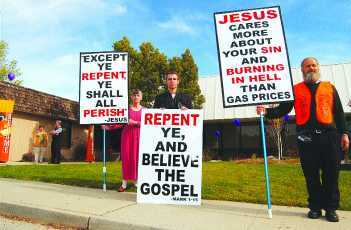 Know ye not, that so many of us as were baptized into Jesus Christ were baptized into his death? 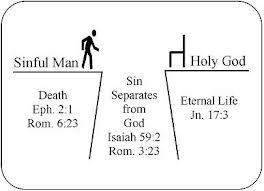 Therefore we are buried with him by baptism into death: that like as Christ was raised up from the dead by the glory of the Father, even so we also should walk in newness of life. Ro. 6:14-15 For sin shall not have dominion over you: for ye are not under the law, but under grace. What then? 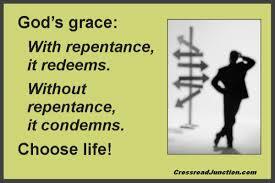 shall we sin, because we are not under the law, but under grace? God forbid.Ro. 6:22-23 But now being made free from sin, and become servants to God, ye have your fruit unto holiness, and the end everlasting life. 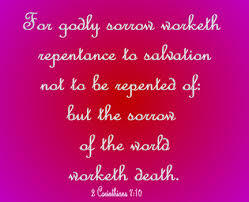 For the wages of sin is death; but the gift of God is eternal life through Jesus Christ our Lord. Ro. 7:6 But now we are delivered from the law, that being dead wherein we were held; that we should serve in newness of spirit, and not in the oldness of the letter. 1 Co. 7 The whole chapter. N1 to 2 Co. 5.10, p1233 “The judgment of the believer’s works, not sins, is in question here. These have been atoned for, and are “remembered no more forever” Heb 10:17, Mt 12:36; Ro 14:10; Ga 6:7; Eph 6:8; Col 3:24-25. The result is “reward” or “loss” (of the reward), “but he himself shall be saved” 1Co 3:11-15. 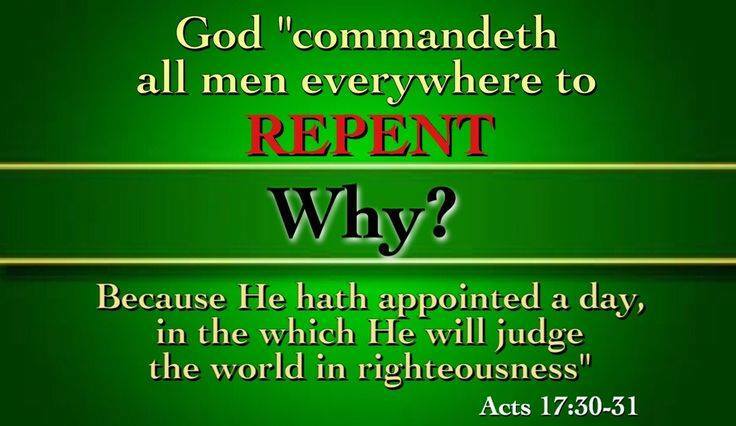 This judgment occurs at the return of Christ Mt 16:27; Lu 14:14; 1Co 4:5; 2Ti 4:8; Re 22:12. Ep. 4 the whole chapter. Phi. 2.2-11 “Fulfil ye my joy, that ye be likeminded, having the same love, being of one accord, of one mind. Let nothing be done through strife or vainglory; but in lowliness of mind let each esteem other better than themselves. Look not every man on his own things, but every man also on the things of others. Let this mind be in you, which was also in Christ Jesus: …” Phi. 2.12-15: The outworking of the inworked salvation. Phi. 3.1-3: Warning against Judaizers. Phi. 3.4-6: Warning against trusting in legal righteousness. 1 Th. 5.4-9 and the whole chapter. 2 Th. 3.3-15 “But the Lord is faithful, who shall stablish you, and keep you from evil. And we have confidence in the Lord touching you, that ye both do and will do the things which we command you. And the Lord direct your hearts into the love of God, and into the patient waiting for Christ. Now we command you, brethren, in the name of our Lord Jesus Christ, that ye withdraw yourselves from every brother that walketh disorderly, and not after the tradition which he received of us. For yourselves know how ye ought to follow us: for we behaved not ourselves disorderly among you; Neither did we eat any man’s bread for nought; but wrought with labour and travail night and day, that we might not be chargeable to any of you: Not because we have not power, but to make ourselves an ensample unto you to follow us. For even when we were with you, this we commanded you, that if any would not work, neither should he eat. For we hear that there are some which walk among you disorderly, working not at all, but are busybodies. Now them that are such we command and exhort by our Lord Jesus Christ, that with quietness they work, and eat their own bread. But ye, brethren, be not weary in well doing. And if any man obey not our word by this epistle, note that man, and have no company with him, that he may be ashamed. Yet count him not as an enemy, but admonish him as a brother.” [Bold emphasis mine]. 1 Ti. 5-6 the entire chapter … 5.14-15 “I will therefore that the younger women marry, bear children, guide the house, give none occasion to the adversary to speak reproachfully. 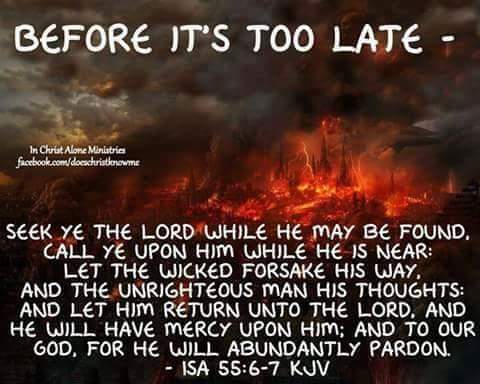 For some are already turned aside after Satan.” 5.20 “Them that sin rebuke before all, that others also may fear.” 6.5-7 “Perverse disputings of men of corrupt minds, and destitute of the truth, supposing that gain is godliness: from such withdraw thyself. But godliness with contentment is great gain. For we brought nothing into this world, and it is certain we can carry nothing out.” 6.9 “But they that will be rich fall into temptation and a snare, and into many foolish and hurtful lusts, which drown men in destruction and perdition.” 6.11-12 “But thou, O man of God, flee these things; and follow after righteousness, godliness, faith, love, patience, meekness. Fight the good fight of faith, lay hold on eternal life, whereunto thou art also called, and hast professed a good profession before many witnesses.” 6.17-21 “Charge them that are rich in this world, that they be not highminded, nor trust in uncertain riches, but in the living God, who giveth us richly all things to enjoy; That they do good, that they be rich in good works, ready to distribute, willing to communicate; Laying up in store for themselves a good foundation against the time to come, that they may lay hold on eternal life. O Timothy, keep that which is committed to thy trust, avoiding profane and vain babblings, and oppositions of science falsely so called: Which some professing have erred concerning the faith. Grace be with thee. Amen.” [Bold emphasis mine]. Philemon deals with the actions required of Onesimus, a newly born again run away slave who had robbed his master, and the actions of his master, a Christian, toward Onesimus. He. 9.1-15 “Then verily the first covenant had also ordinances of divine service, and a worldly sanctuary. For there was a tabernacle made; the first, wherein was the candlestick, and the table, and the shewbread; which is called the sanctuary. And after the second veil, the tabernacle which is called the Holiest of all; Which had the golden censer, and the ark of the covenant overlaid round about with gold, wherein was the golden pot that had manna, and Aaron’s rod that budded, and the tables of the covenant; And over it the cherubims of glory shadowing the mercyseat; of which we cannot now speak particularly. Now when these things were thus ordained, the priests went always into the first tabernacle, accomplishing the service of God. But into the second went the high priest alone once every year, not without blood, which he offered for himself, and for the errors of the people: The Holy Ghost this signifying, that the way into the holiest of all was not yet made manifest, while as the first tabernacle was yet standing: Which was a figure for the time then present, in which were offered both gifts and sacrifices, that could not make him that did the service perfect, as pertaining to the conscience; Which stood only in meats and drinks, and divers washings, and carnal ordinances, imposed on them until the time of reformation. But Christ being come an high priest of good things to come, by a greater and more perfect tabernacle, not made with hands, that is to say, not of this building; Neither by the blood of goats and calves, but by his own blood he entered in once into the holy place, having obtained eternal redemption for us. For if the blood of bulls and of goats, and the ashes of an heifer sprinkling the unclean, sanctifieth to the purifying of the flesh: How much more shall the blood of Christ, who through the eternal Spirit offered himself without spot to God, purge your conscience from dead works to serve the living God? And for this cause he is the mediator of the new testament, that by means of death, for the redemption of the transgressions that were under the first testament, they which are called might receive the promise of eternal inheritance. The theme of the book of James is works as the expression and proof of faith. James exalts faith as producing works. Exemplary verses shall be given in this study. James 1:2-3 “My brethren, count it all joy when ye fall into divers temptations; Knowing this, that the trying of your faith worketh patience.” 12 “Blessed is the man that endureth temptation: for when he is tried, he shall receive the crown of life, which the Lord hath promised to them that love him.” 14-16 “But every man is tempted, when he is drawn away of his own lust, and enticed. Then when lust hath conceived, it bringeth forth sin: and sin, when it is finished, bringeth forth death. Do not err, my beloved brethren.” 19-25 “Wherefore, my beloved brethren, let every man be swift to hear, slow to speak, slow to wrath: For the wrath of man worketh not the righteousness of God. Wherefore lay apart all filthiness and superfluity of naughtiness, and receive with meekness the engrafted word, which is able to save your souls. 22-25: But be ye doers of the word, and not hearers only, deceiving your own selves. For if any be a hearer of the word, and not a doer, he is like unto a man beholding his natural face in a glass: For he beholdeth himself, and goeth his way, and straightway forgetteth what manner of man he was. But whoso looketh into the perfect law of liberty, and continueth therein, he being not a forgetful hearer, but a doer of the work, this man shall be blessed in his deed.” No more to be given since the book is saturated with the teaching that true faith produces works: read the whole book. 2 Jn. conditions the personal walk of a Christian in a day of apostasy; 3 Jn. conditions the personal responsibility in such a day of apostasy of the believer as a member of the local church. Jude [The whole book. Only selected verses are pasted here]. Revelation 2:8-11 “And unto the angel of the church in Smyrna write; These things saith the first and the last, which was dead, and is alive; I know thy works, and tribulation, and poverty, (but thou art rich) and I know the blasphemy of them which say they are Jews, and are not, but are the synagogue of Satan. Fear none of those things which thou shalt suffer: behold, the devil shall cast some of you into prison, that ye may be tried; and ye shall have tribulation ten days: be thou faithful unto death, and I will give thee a crown of life. He that hath an ear, let him hear what the Spirit saith unto the churches; He that overcometh shall not be hurt of the second death.” Notice that this church is the opposite of almost all American churches. They will suffer and have tribulation because they practice, seek after, and attain the things of God, not the things of man. Compare this church to the church of Laodicea in Re. 3.14-19, which exemplifies almost all churches in America. Mankind sinks so low that he will not repent. See, e.g., Re. 16.9, 11, 21.